One 21" × 17.125" poster, the same as the one in Ogre Designer's Edition. 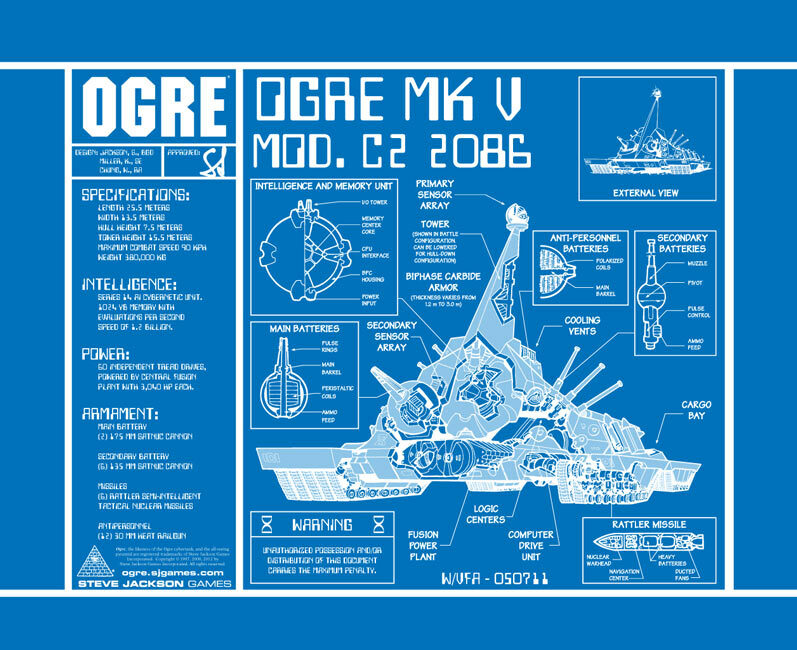 The classic Mark V Ogre blueprint as a 21 inch × 17 inch poster. The same as the one included in Ogre Designer's Edition. Comes rolled. For the deluxe Ogre experience, grab Ogre Sixth Edition! For additional rules, units and scenarios for Ogre Sixth Edition, check out Ogre Reinforcements!